As Canadians, we benefit every day from our collective taxes. From the light switch we turn on when we wake, the shower we take in the morning, to the road and transportation infrastructure we use to go to day care, school, work or to do errands. Most of these services benefits from the taxes we pay. If we are sick, we go to the doctor or to the hospital. Taxes are at the root of our social programs. As we age and become seniors, taxes become even more essential. 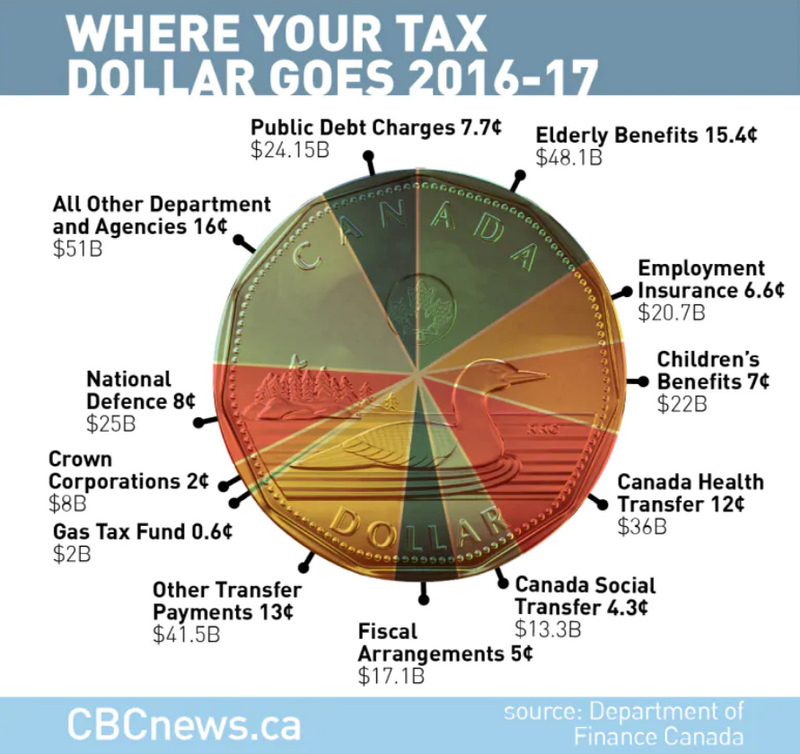 The attached graphic, from CBC News, illustrates how much Canadian seniors benefit from our collective taxes. Nearly 50 billion dollars went toward Old Age Security and the Guaranteed Income Supplement in the 2016-17 fiscal year. That’s 15.4 cents of every tax dollar. The second highest slice in our taxes pie is dedicated to our health. 12 cents of every dollar supports our universal healthcare system, while 4.3 cents go toward social transfers, which support not just social assistance programs, but post-secondary education, early childhood development, and early learning and childcare. Taxes are the glue that holds us together! They sustain us through every phase of our lives. 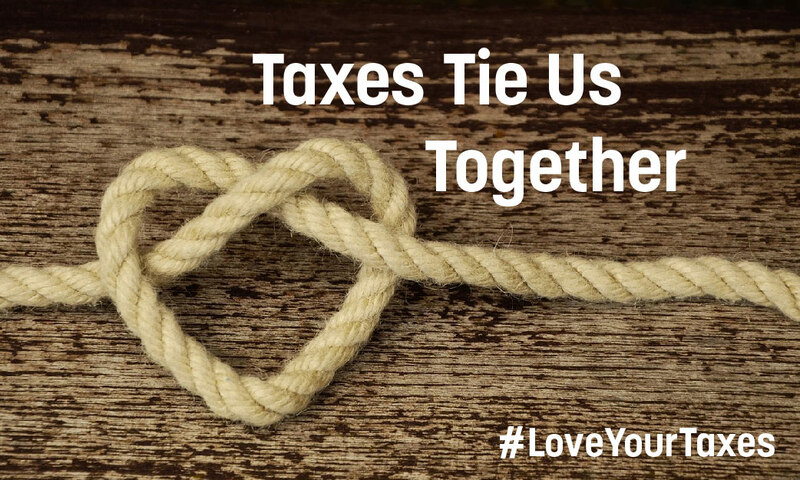 On this Valentine’s day, let’s take the time to show our love for our community by transforming the story we share about taxes. Tax shouldn’t be a dirty word! So remember, next time you sit down to file your taxes, share a selfie using the hashtag #LoveYourTaxes and shift the narrative around one of our greatest assets as a society and our greatest tool to express how much we care for one another.